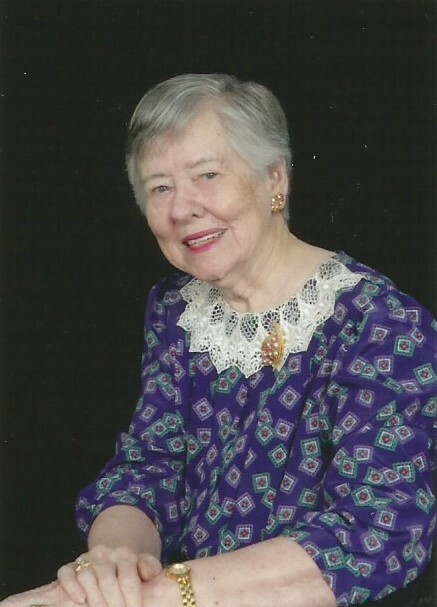 Clarice Elizabeth Turk lately of Gainesville, Fla., passed on November 24, 2018, at the age of 95. She was born October 18, 1923, in Ashford, Alabama. She was preceded in death by her husband James Floyd Turk, sisters Ethyl Enfinger, Gladys Snell and Carrie May Harrison, and brother William Tedder. She was the daughter of John B. and Carrie Tedder of Webb, Ala.
She is survived by sons James Donald Turk, Sr. of Gainesville, Fla., and Robert Allen Turk of Lake Mary, Fla., five grandchildren, and 10 great grandchildren. Clarice grew up in the rural Enon community of Houston County, Ala. Following graduation from Ashford High School, she attended business school in Montgomery which led to a job with the Wiregrass Electric Cooperative in Hartford, Ala.
She and Floyd married in 1945. He was employed as an agriculture teacher at the local high school at the time. Floyd soon joined the U.S. Department of Agriculture as an inspector, which took them to Miami, Fla., New Orleans, La., Mobile, Ala., and Tampa, Fla., where he retired prior to their moving to Webb, Ala. Following Floyd’s passing in 2003, Clarice then lived in Chantilly, Va., and Gainesville, Fla.
During her life, Clarice donated more than 25 years as a hospital volunteer, first at Tampa General Hospital in Tampa, then at the Southeast Medical Center in Dothan, Ala. She also contributed time as a volunteer coordinator for senior citizen centers in Ashford and Webb, Ala.
She was an accomplished quilter and loved to do other needle work, especially crocheting; and received several ribbons for her crafts at the Houston County (Ala.) Fair. She estimated that she’d made more than 200 quilts in her lifetime, many donated to organizations such as the Cancer Society or Alzheimer’s Association as fund raisers. She grew up a member of the Enon Church of Christ (Webb, Ala.) and later return there for 27 years following her husband’s retirement. She will be buried beside her husband of 58 years in the Enon Church of Christ Cemetery. A grave-site ceremony will be held at 11:00 a.m. on Thursday, November 29 at the Enon Church of Christ cemetery in Webb. In lieu of flowers, donations are suggested to the Alzheimer’s Association.